Review: The Ostinato label is, without a doubt, coming through with the heaviest, most sought-after funana on the planet, and that is something quite special in itself if you think that this is some pretty niche, limited material. 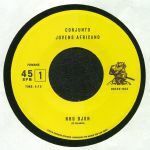 Their Cape Verde 45s series comes through with their most killer 7" yet, a two-tracker from 1984 by the Conjunto Jovens Africano, led by Ze Orlando - a prominent figure in the connection between Santiago (CV) and Lisbon, Portugal. Both tracks are pure fire, with "Nhu Djon" rocking that classic funana style, fast-paced and full of colour, while "Volta Pa Terra" offers the island's well-known passion for synthesisers and organic instruments, landing an instantly seductive groove that grows and grows. Wonderful stuff. 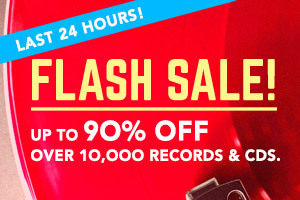 Don't miss this!